BEFORE: I’m doing this for me! it’s so easy to fall off but positive competitions like these keep me motivated and help me stay focused on my WHY! 21 Days AFTER: Thank you for the opportunity to be a part of an amazing accountability group. I’m enjoying learning about my body and I’m excited about all the changes I’ve made with the support of your program. 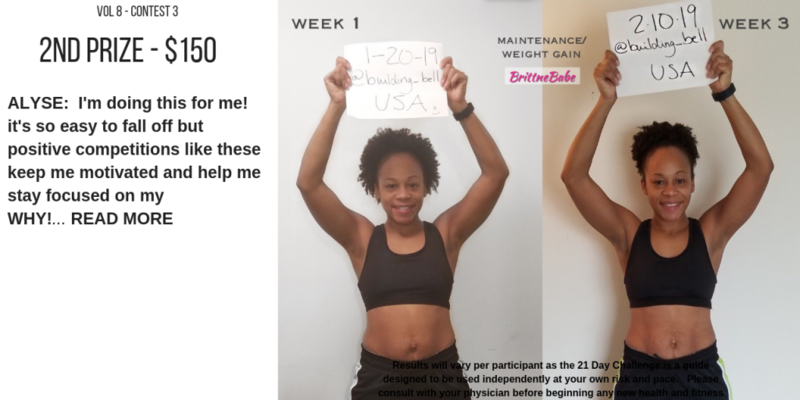 © 2014-2019 Brittne Babe Fitness. All rights reserved.